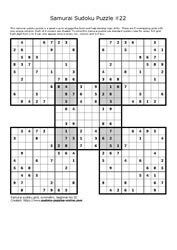 Samurai sudoku puzzles include 5 interconnected sudoku grids (9x9) with one unique solution. 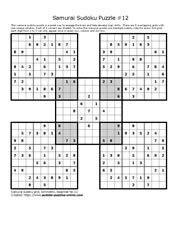 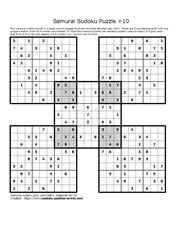 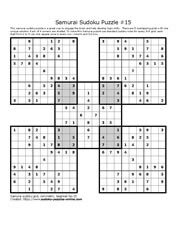 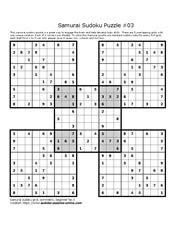 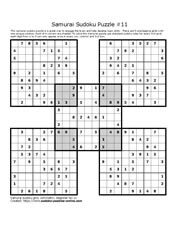 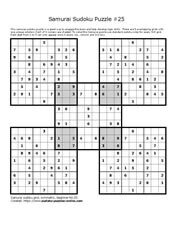 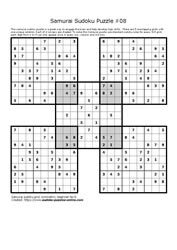 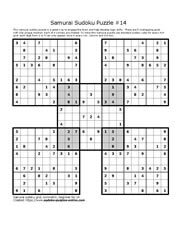 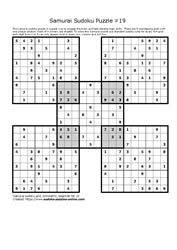 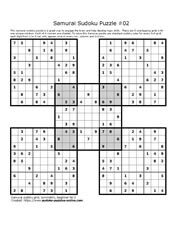 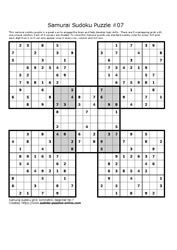 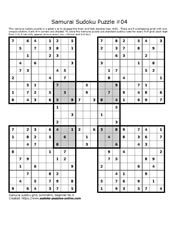 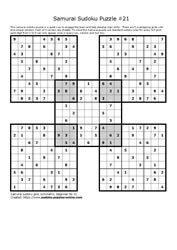 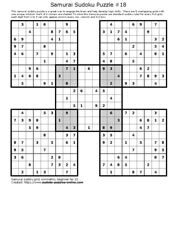 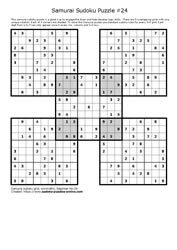 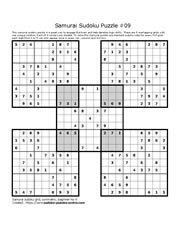 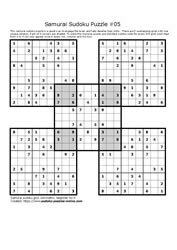 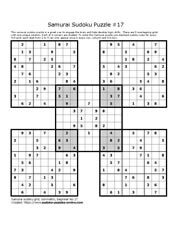 To complete, puzzle solver applies the main sudoku rules and logic to fill in the blanks in these brain teasers. 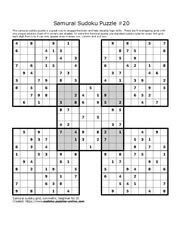 This category of puzzles are beginner, or easy, samurai sudoku puzzles. Other names for these brain teasers include: fiendish sudokus or extreme sudoku puzzles.